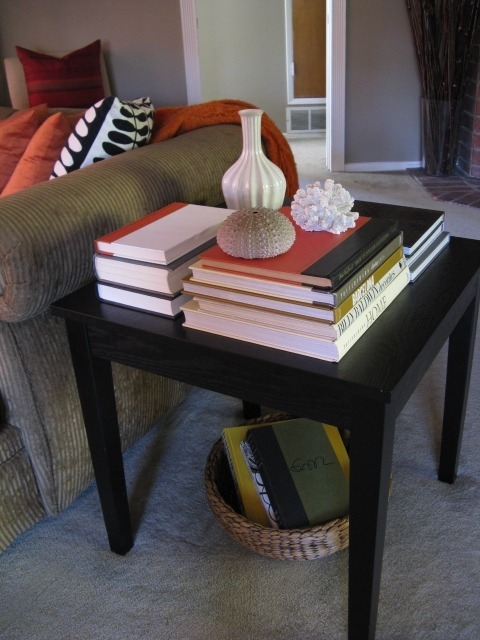 ever one to pass up a bargain, I found a simple black modern table for $20 at Big Lots (yes, I said Big Lots), took it home and proceeded to “tablescape” it. 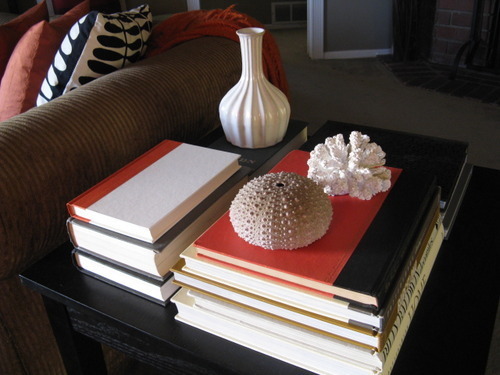 A few stacks of books in varying heights, a sea urchin, a white fluted vase, a faux coral and voila — tablescape. I love how the red, orange and white accent colors on the books just pop.